THE ELECTRICITY challenge that has befallen most countries in the Southern Africa Development Community (SADC) is mainly a result of over-dependency on hydro-power generation. The energy crisis, which has led to slowed economic growth in the region, has been compounded by dwindling water levels in most rivers and lakes due to adverse climatic conditions. This situation has forced countries in the region to seek other energy sources apart from the traditional hydro power. South Africa is one such country that has resolved to invest immensely in a diverse source of energy which includes coal and nuclear energy. Coal -fired energy is one of the largest sources of energy in the South Africa. Currently, South Africa has 27 power stations, many of which are located in Mpumalanga Province due to its rich coal deposits. President Lungu, who was recently on a State visit to South Africa, took time to visit Kusile power plant, which is set to be the third largest coal-fired power plant in the world once it is complete. Kusile, which is located near the existing Kendal power station in the Nkangala district of Mpumalanga, will comprise six units; each rated at an 800 MW installed capacity for a total generation capacity of 4,800 MW. The plant, whose works are at 77 per cent, is scheduled to be complete in 2020. The project, which is being undertaken by State electricity utility Eskom, will gobble R 161 billion. The project is currently in its execution phase with the first out of the six commercial units expected to be operational by July, 2018. Construction works at the plant commenced in 2008. Mr Lungu is inspired by the project and it is his wish the project can be replicated in Zambia. â€œIâ€™m very impressed I must say. There a lot of lessons to be learnt here and I have been briefed on the benefits and risks, and everything. â€œWe will be sending our team from ZESCO to meet their colleagues from Eskom, so that they can learn a few things including corporate social responsibility that they are doing here,â€ Mr Lungu says. The Head of State is further impressed that South Africa is one of the few countries in the region that have successful invested in nuclear energy. Mr Lungu requested Eskom to assist the region by â€˜clearingâ€™ the misconception surrounding nuclear energy. The President is concerned that most people perceive nuclear energy as demonic and mysterious. The Head of State says nuclear energy is safe with strict adherence to regulations and legal regime. Mr Lungu says Zambia should draw lessons from South Africa and consider investing in nuclear energy as it is sustainable. â€œOf course nuclear can be used for peaceful purposes and military purposes too. And so, I do not think Zambia wants to go into nuclear to wage war or develop a bomb. â€œWe want to use it for peaceful purposes and I think countries world-wide are using it for that purpose. It is a question of being strict about the regulations and using it for the intended purpose,â€ he says. Eskom group executive Abram Masango says the State utility company currently is undertaking three major projects which will boost the countryâ€™s energy capacity. 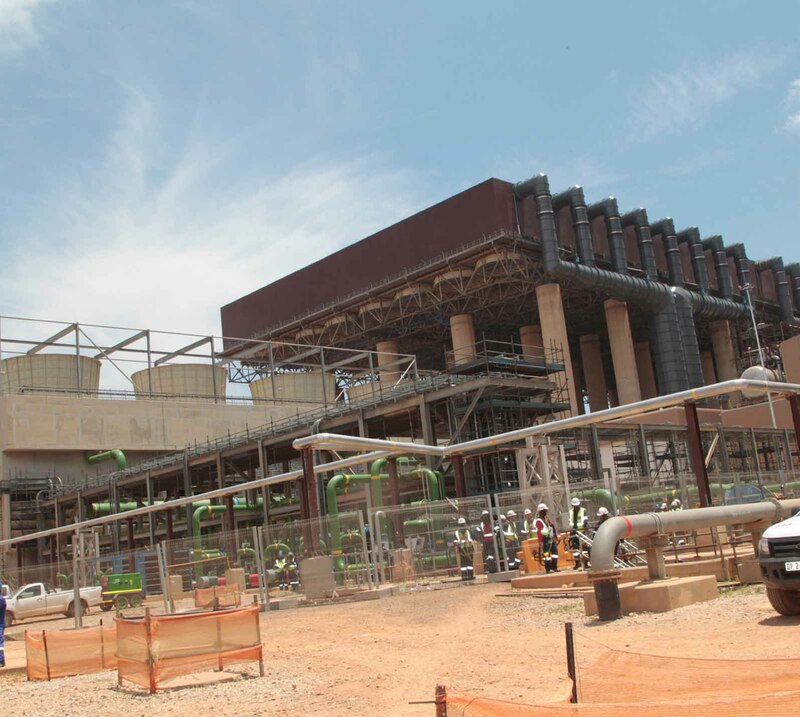 Mr Masango cited Kusile, pump storage in KwaZulu-Natal with a capacity of 1,332 MW and Medupi, a Greenfield coal-fired power plant project situated in Limpopo, which will add 4, 764 MW to the national grid once completed. â€œKusile is a Swazi name which means it has dawn, it has dawn to our Province Mpumalanga. â€œNormally to execute this type of a project, it takes eight to 10 years. Itâ€™s a long-term project, itâ€™s a lot of work but is durable. To date, as you look at the standing infrastructure, we have spent R 112 billion on this project (Kusile),â€ Mr Masango says. He explains that out of the R112 billion spent so far on the project, R 10 billion has been channelled towards corporate social responsibility around Mpumalanga Province. Mr Masango says currently, Eskom has 42,000 MW of power of which 85 percent is supplied through coal, 1.4 hydro, 3.4 percent pump storage and 4.4 percent is nuclear. Mr Masango says 95 percent of the countryâ€™s electricity is supplied by Eskom while five percent is supplied through public private partnership (PPP). He says the countryâ€™s nuclear plant Koeberg, in Western Cape is affordable at 45 cents per kilowatt. â€œWe still have a journey to travel to complete the projects but from Eskomâ€™s point of view, we are very confident that we are now on truck, we will able to deliver. Once all the projects under execution are complete, we will have 56,000 MW capacity,â€ he says. Minister of Energy David Mabumba says government recognises the importance of Zambia in the Southern African Power Pool. Mr Mabumba says Zambia is keen to invest in strategic transmission lines that will enhance electricity trade with other countries in the region. â€œWe will put up a timeline before the end of January next year to enable Eskom and ZESCO finalise agreements. We look forward to getting cheaper power from here as part of bilateral and historic relations. 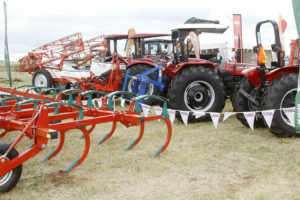 This is one benefit Zambia can get from the Republic of South Africa,â€ Mr Mabumba says. He reveals that the country has also invested in a transmission line to Tanzania through to Kenya. â€œSo far, we have a 300-kilometre power line from Pensulo into Kasama. What we are remaining with is just about 150 Km to reach the border with Tanzania. â€œTanzania has also covered a large part, they are remaining with only 200 Km to reach border with Zambia,â€ he says. The project will enable countries in the Southern Africa Power Pool to trade with other countries in East Africa. 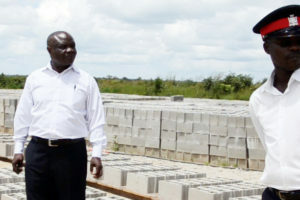 South African High Commissioner to Zambia Sikose Mji implored both South Africa and Zambia to priotise the engagement of locals in the execution of projects. â€œIf you do not engage the locals on the onset of the projects, it will be difficult for you to do so when the project is at an advanced stage. People will tell you we cannot find a Zambian that has the skill,â€ Ms Mji says. Zambiaâ€™s High Commissioner to South Africa Emmanuel Mwamba says there is need for the two countries to finalise the agreement of the 300 MW of power that was supposed to be evacuated to Zambia. Mr Mwamba observed that the power mix in Zambia is limited as it is mainly dependent on hydro power. â€œThere is another set of discussion between the mining group and ZESCO for 300 MW, besides the 300MW arranged from government to government. â€œIf these two programmes were quickly done, it will assist in resolving the power crisis that Zambia is going through,â€ Mr Mwamba says. It is therefore hoped that Zambia and other countries in the region can take a leaf from South Africa and invest in various sources of energy for sustained supply to their economies.